Since my last post on the crockpot roast chicken, I have adapted my technique a bit. Check it out, complete with new pictures. To start, I stack the whole chicken on top of some veggies. Onions are my favorite, but carrots are good, too. Potatoes and celery also fit the bill. I season the chicken with salt, pepper, and whatever other flavors I am in the mood for. This one was paprika. 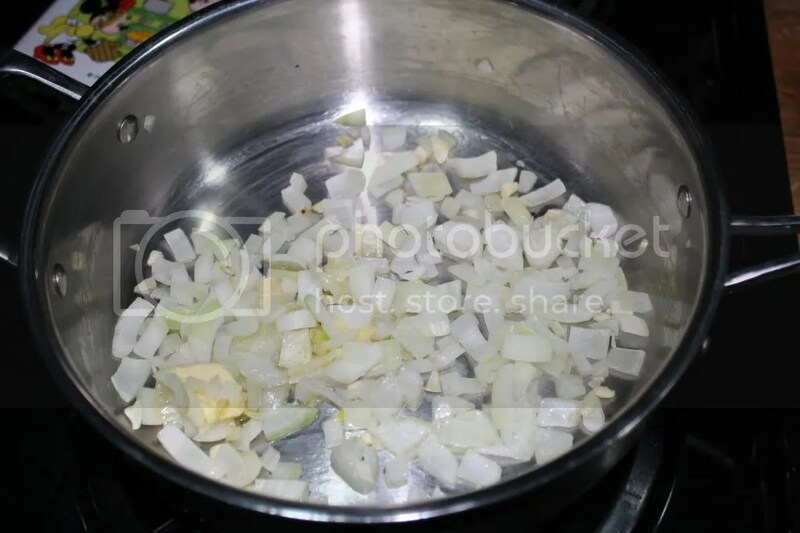 I cook it on low for about 8 hours. Once it is done, I now crisp up the skin. To do that, I place it on a roasting rack and broil it in the oven for a few minutes. That is it! Easy and it tastes great. 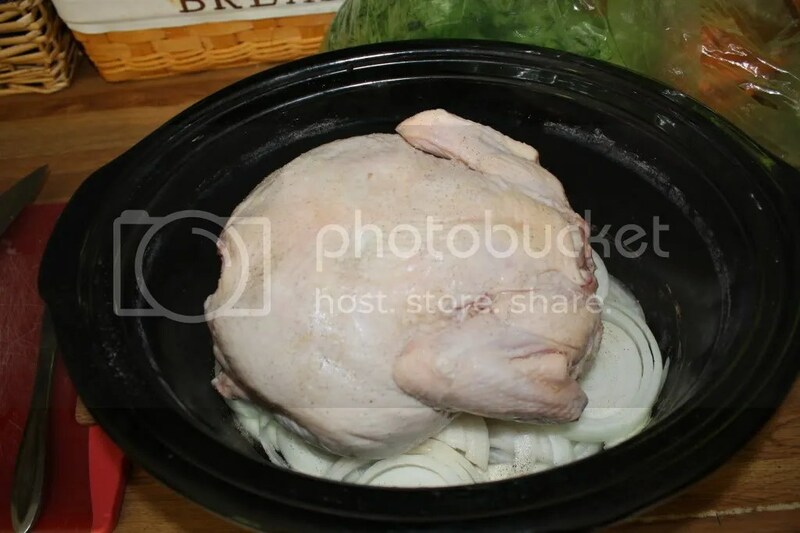 Now, I like to stretch out a chicken as much as possible. 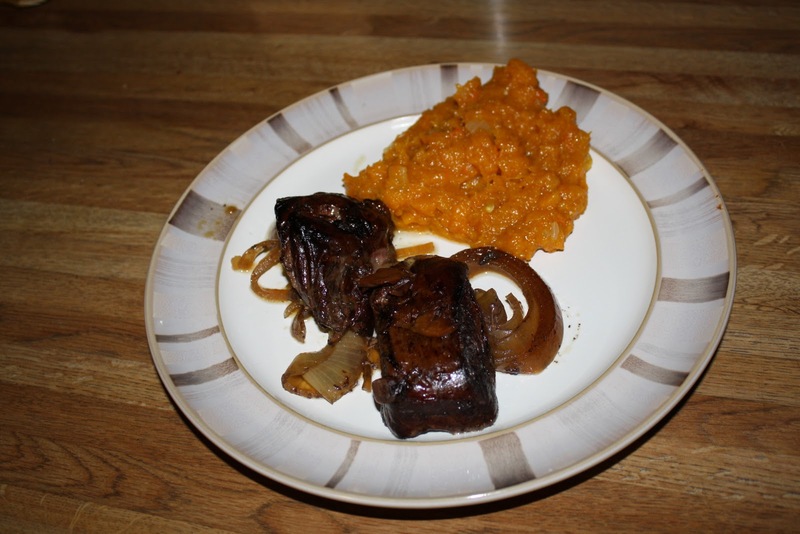 The first night, we eat the legs (most recently, with onions and hyssop salad). Then, I save the breasts for something else. 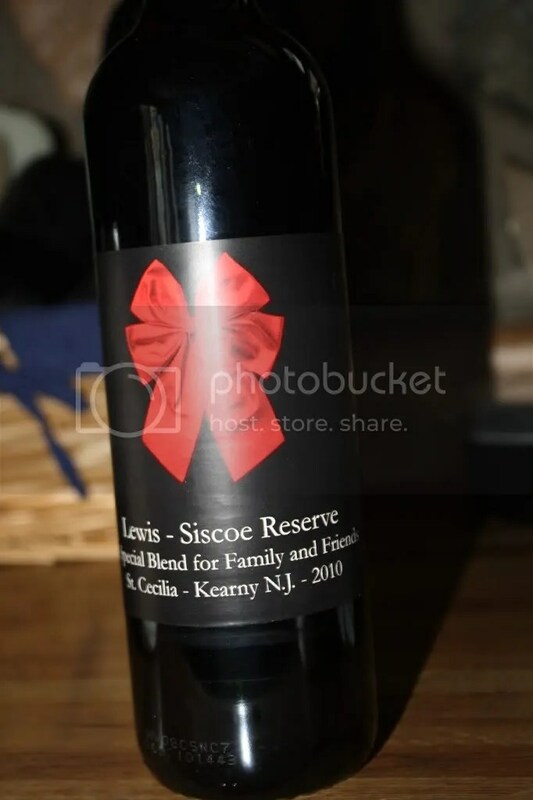 I usually use it on salads or in leftover cooking. 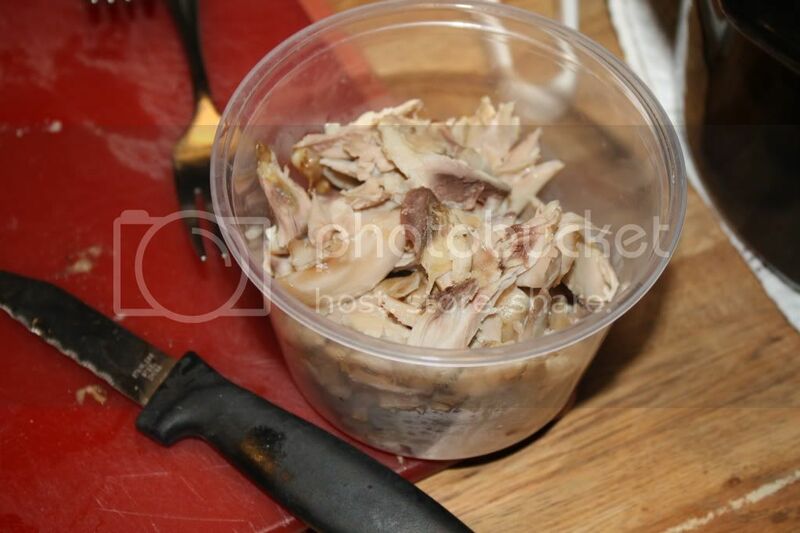 Then, I pick apart the rest of the chicken for scraps. There is typically about a pint, sometimes more. That is best suited for stir fries, soups, salads, or leftover cooking. 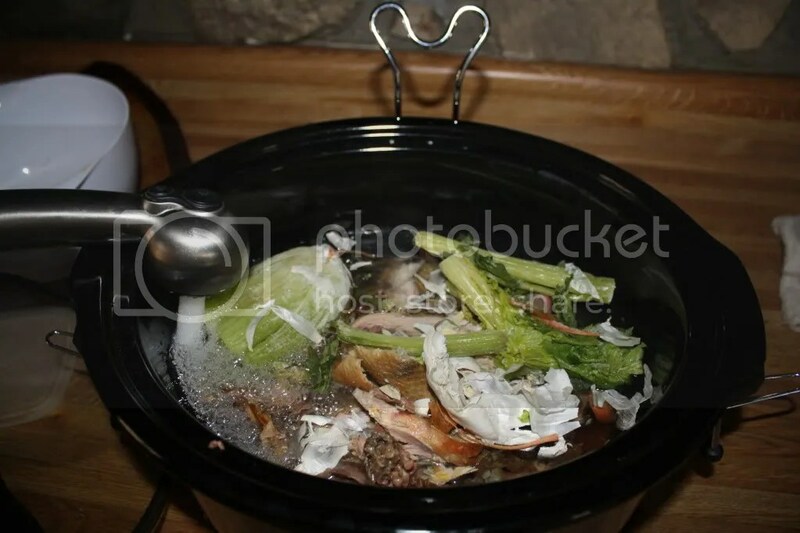 Now, I put the bones, skin that wasn’t eaten, and other scraps into the crockpot with all the veggie scraps I have saved in the freezer for this very occasion. I fill it with water and apple cider vinegar and let it soak. It is said that doing this extra step helps the nutrients in the bones become more available. I’m not sure if it is true, but I figure it can’t hurt. 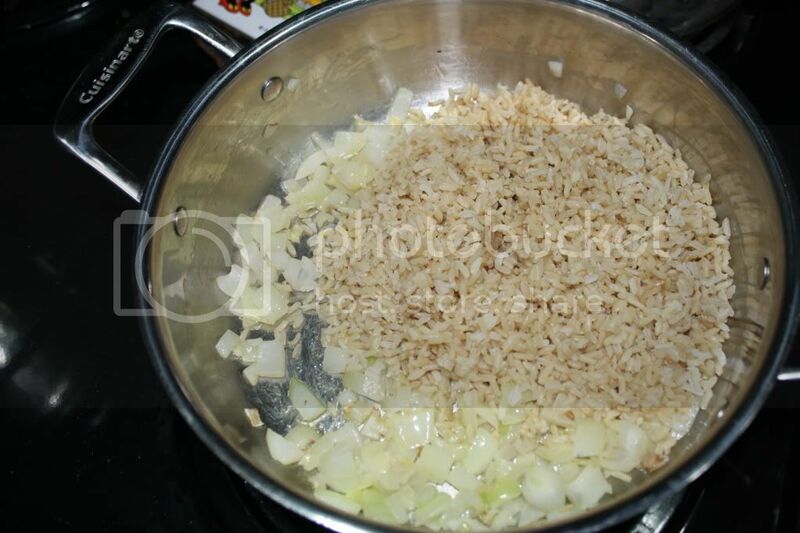 After it has soaked for a while, I cook it on high for a long time (usually until I have time to strain it). 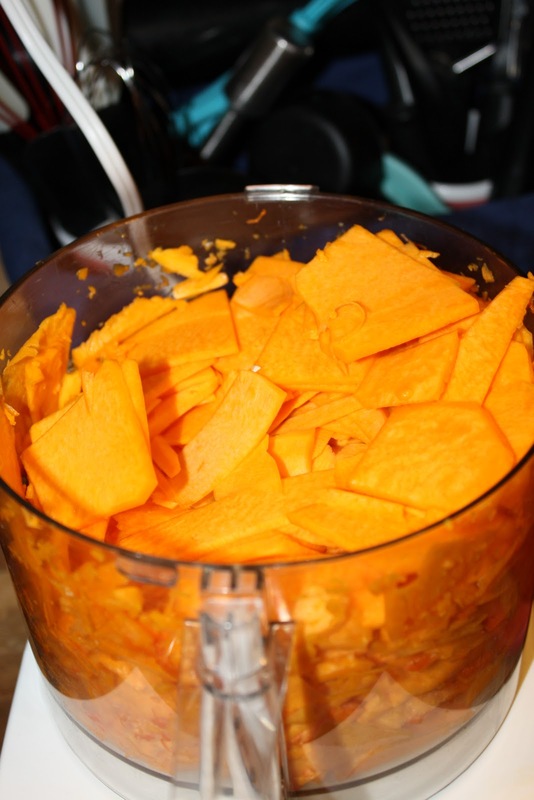 Once it is cooked, I pour it through a mesh strainer into a big bowl and stick it in the fridge. If a thick layer of fat forms, I skim it off. Not because I don’t want it, but because I can then cook with it. Free cooking fat!! I typically end up with more than a half gallon of stock! All in all, I get a dinner for 2 the first night, a dinner for 2 and lunch for 2 with the breasts, lunch or dinner for 2 with the scraps, cooking fat for a meal or two, and broth for a while! 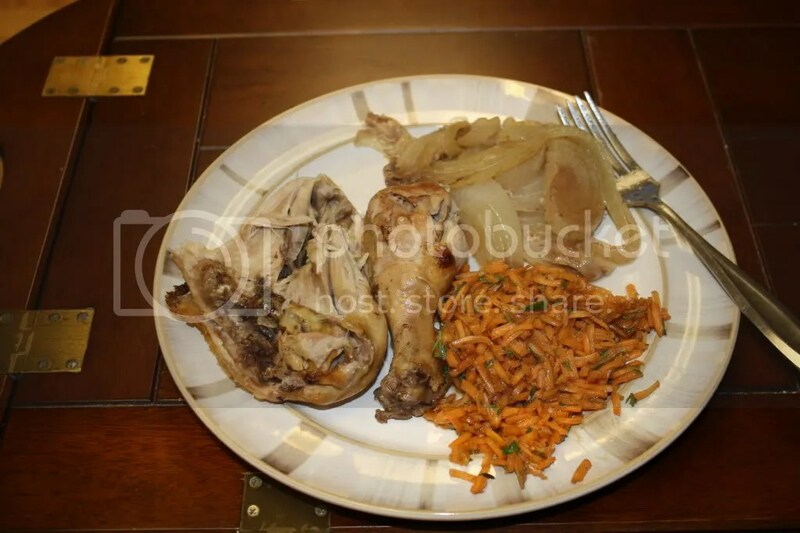 Not too bad for one chicken, huh!This post was shared on Make Your Own Monday and Simple Lives Thursday! I struggled with the name of this post. 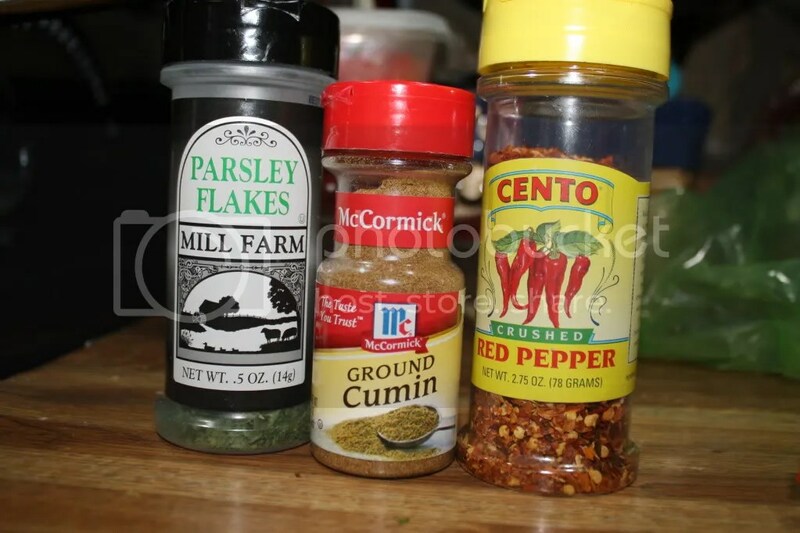 This is by NO means an authentic Mexican recipe. It is just something I threw together that is reminiscent of Mexican flavors, at least to me. We love it, and I hope you will! 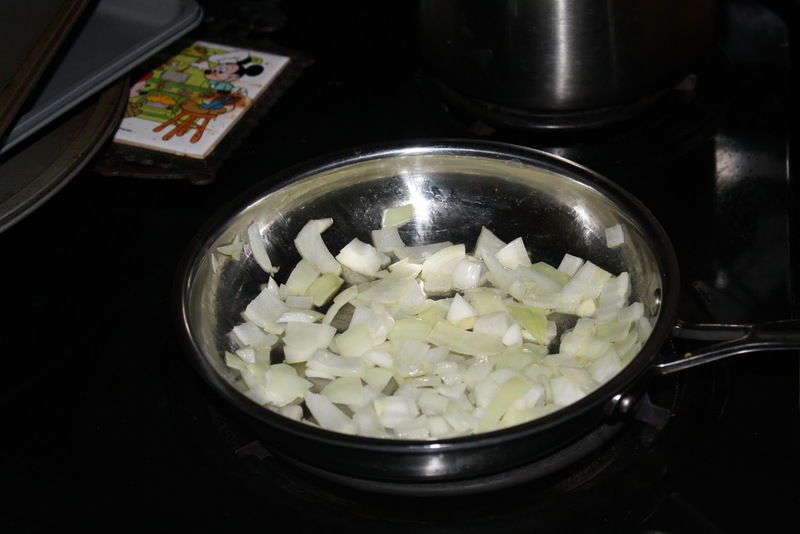 First, I sauteed onions and garlic in butter. I really believe that anything that starts like that can’t be bad. It just smells so good! 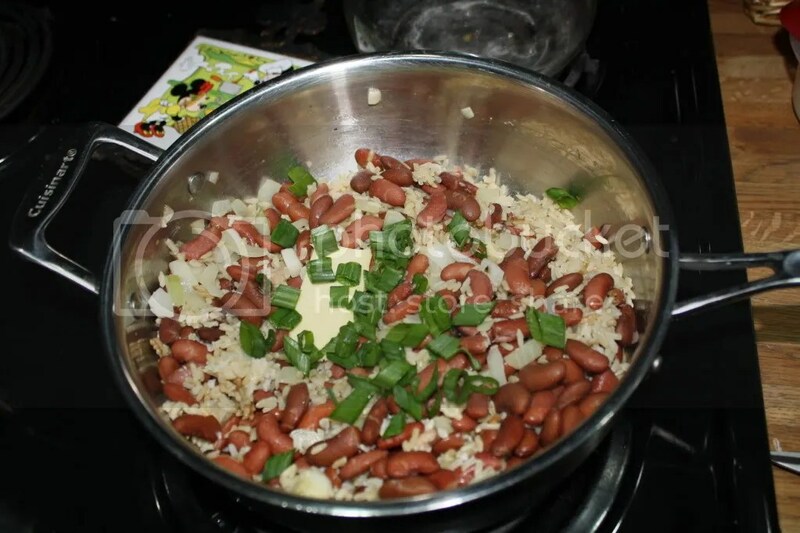 …and red beans I cooked up in the crockpot. After adding in some more yummy butter, I threw in some chopped up scallions. Once it was all warm, it was time to season it! 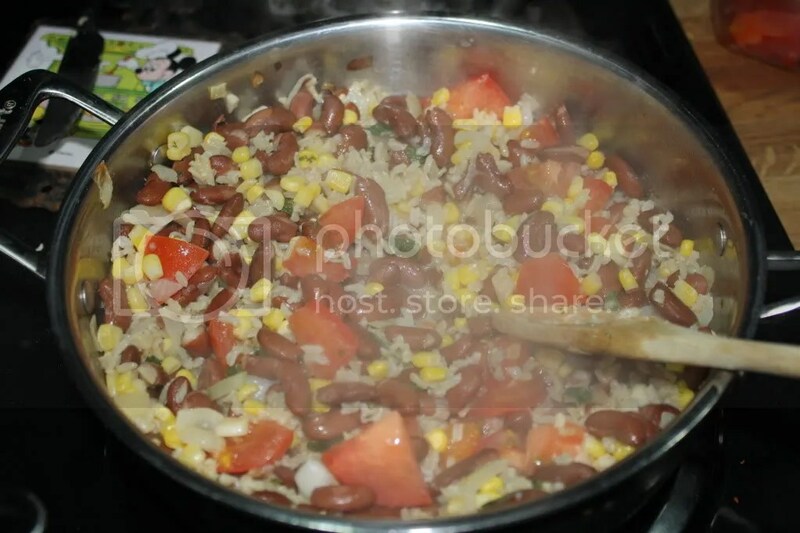 The last 2 things I added in were frozen corn and chopped tomatoes. YUM! This post was featured on the Hearth and Soul Hop! 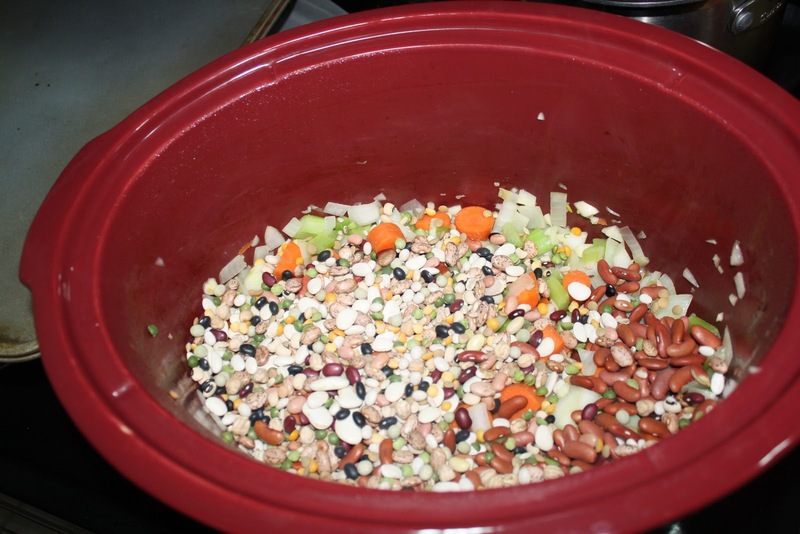 Categories: beans, crockpot, rice, veggies | Permalink. I know, I know, you are sick of hearing about my obsession with roasted poultry. This is the last one for a while, I PROOOOMISE. 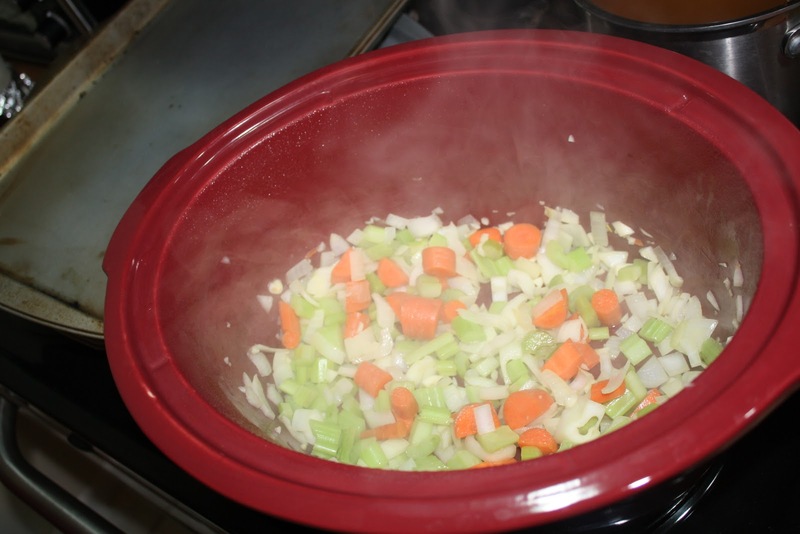 I just want to share with you the real way I make a crock pot roast chicken and the subsequent stock. Indulge me? 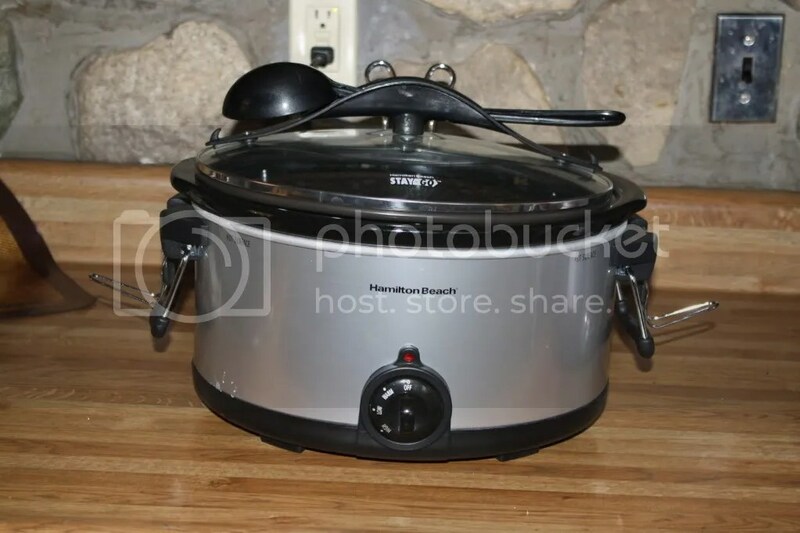 Oh, and by the way… I am using my shiny new crockpot. 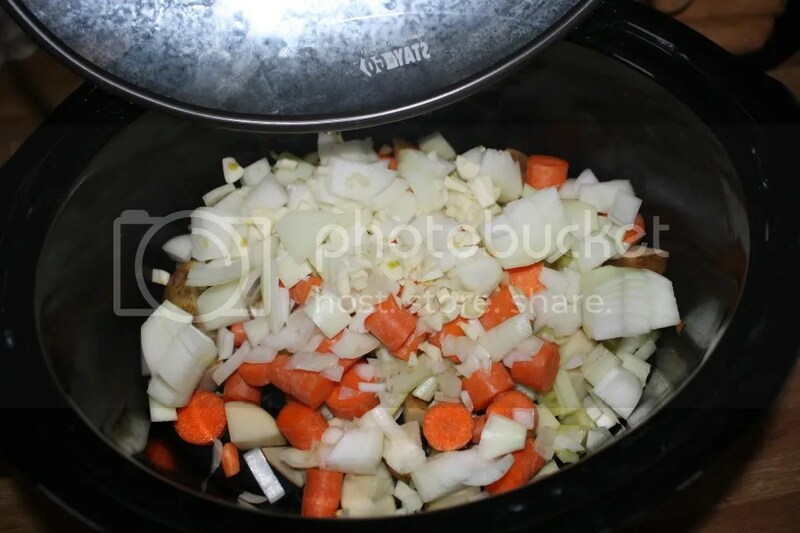 First, I throw any carrots, onions, garlic, and/or celery into the bottom. This time, I only had a carrot and some garlic. 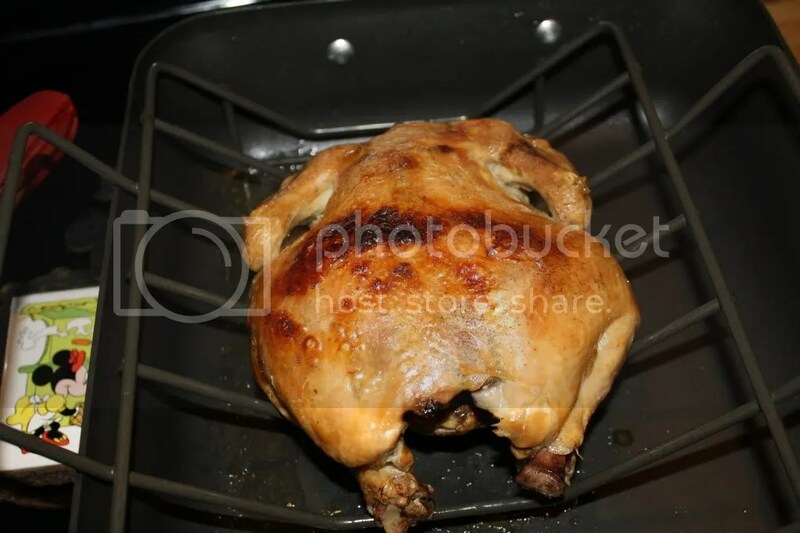 Then I plop a chicken on top. Lately I have been ordering 2 or 3 lb. free range chickens from my milk/cheese delivery company. Sometimes, I season the chicken. Lemon, adobo, garlic, anything is good. The only thing left to do it cook it for a good, long time on low. It soaks in its own juices by the end of it. I take it out for a minute when it is done and cut out as much of the meat as I can. 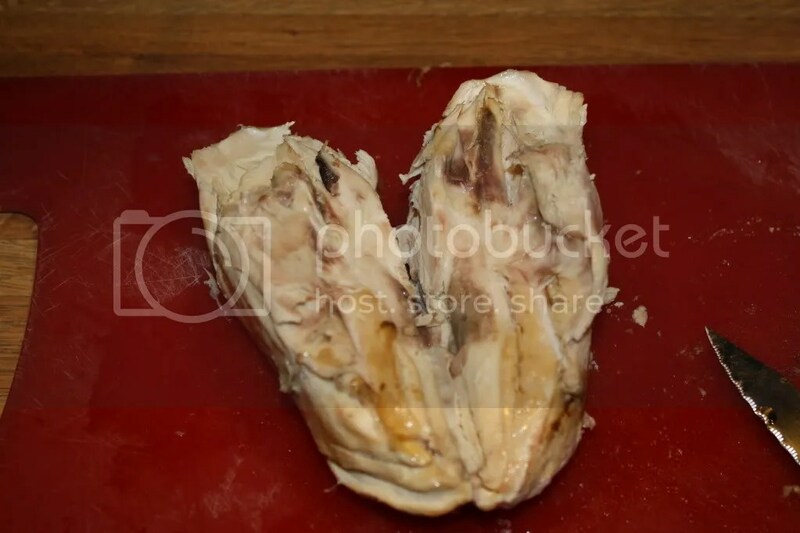 Usually we eat the legs for dinner that night, save the breasts for something else, and the scraps go into soup. 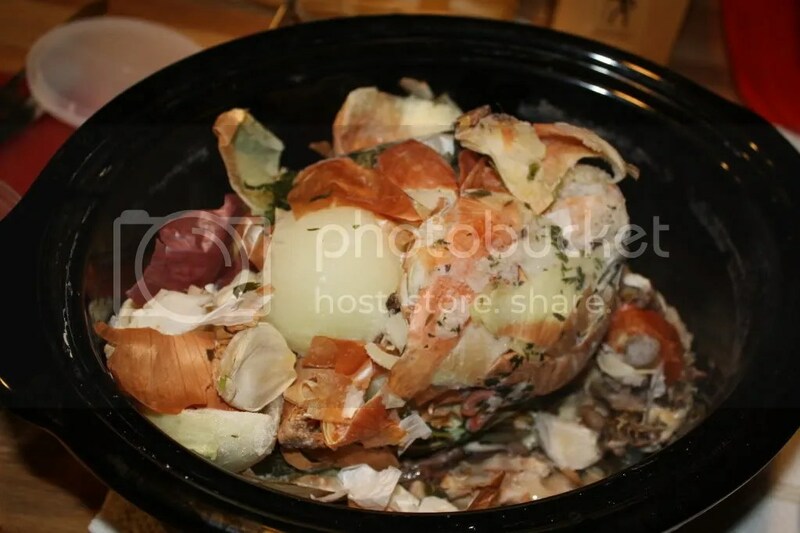 Everything that is left goes back into the pot filled with water and the frozen scraps you have been saving. You HAVE been saving them, haven’t you? I won’t bore you with the details of this again, so if you need stock-making details, click on over here. Unless you want to see a fail. Then, click here. 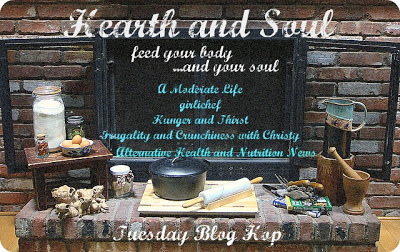 This post was featured on Simple Lives Thursday over at GNOWFGLINS and The Hearth and Soul Bloghop! 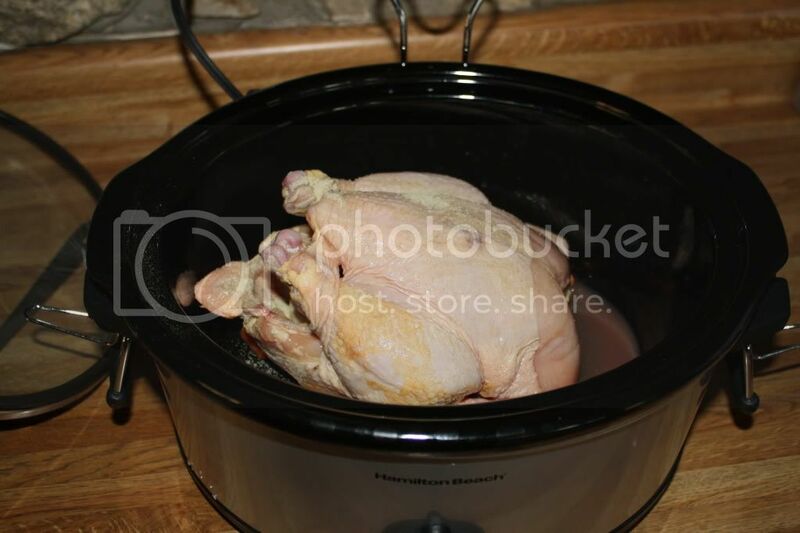 Categories: crockpot, nourishing basics, poultry | Permalink. I feel like I need to come clean with you. I haven’t meal planned in weeks. Therefore, my cooking has been haphazard at best, and it feels like work. Hopefully, I will get it all together soon. The reason I am sharing this is because this meal could have been so much better and more complete had I planned it in advance. In all fairness, however, this meal probably wouldn’t have happened at all had I planned. Let me explain. I had a slew of collard greens in my fridge from our produce delivery service. They had been in there for over a week, and really needed to get used up. 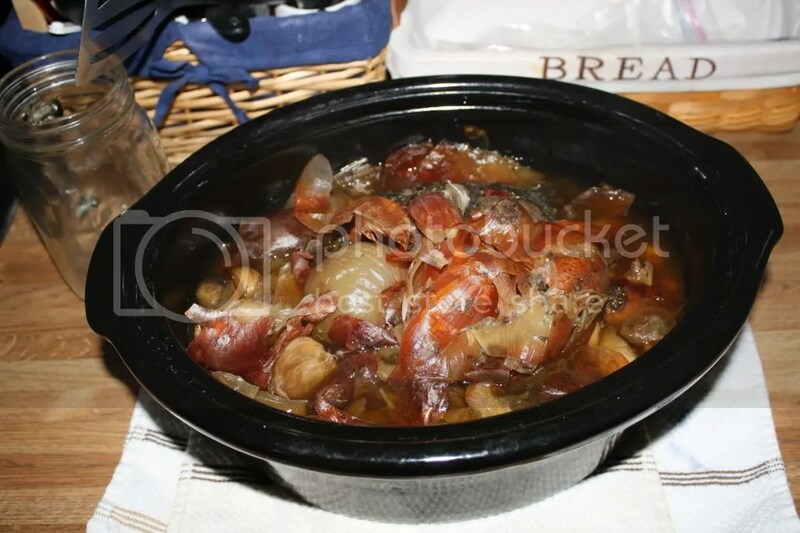 I was Googling recipes for it, and they all were cooked with either a ham hock or bacon, neither of which I had. (On another note, don’t you love the new trend to make nouns verbs? Texting, Googling, etc.). Eventually I saw one for a Cannellini Soup that used them. 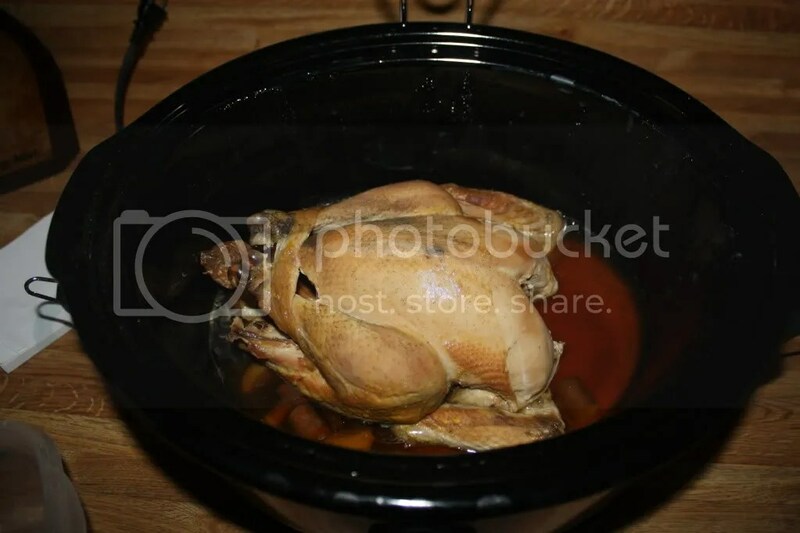 It was also in the crockpot. WIN! 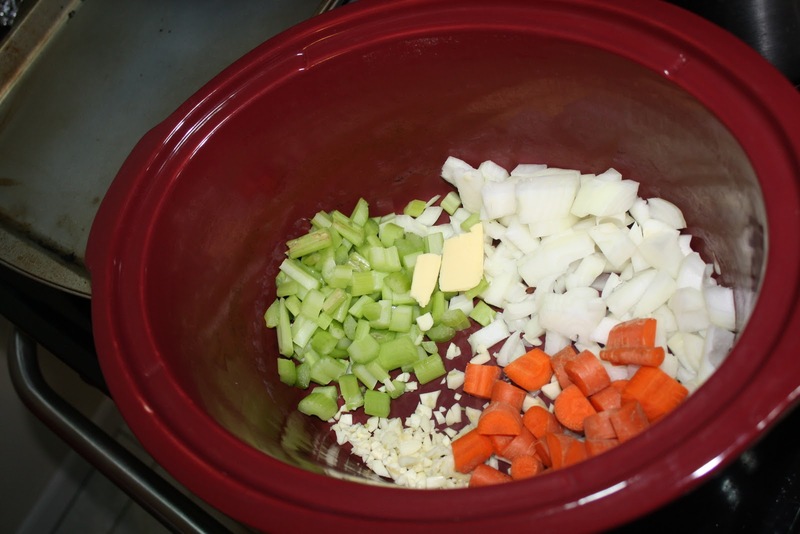 I started by chopping up an onion, 4 celery stalks, 1/2 a small head of garlic, and 2 carrots and throwing them in the crockpot with a thick pat of butter. 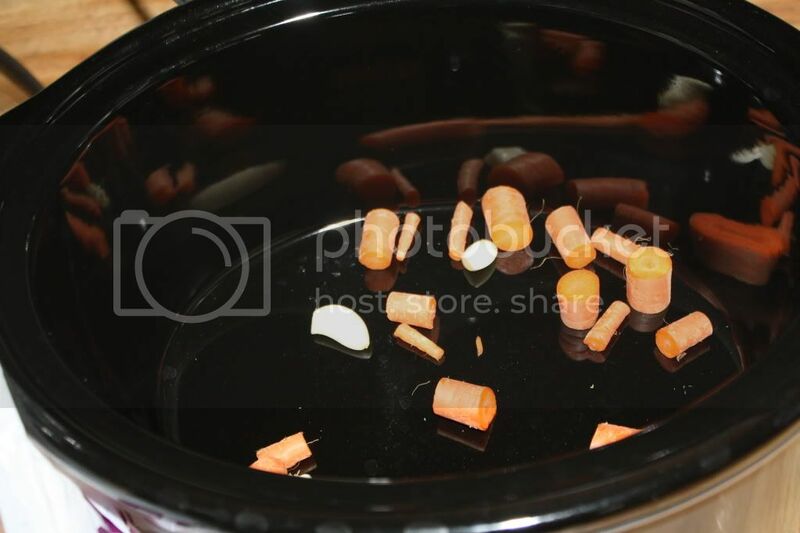 I thought my crockpot was stovetop safe, so I cooked them up on the stove top. When the onions were translucent and everything smelled good, I added in 3 cups of beans. 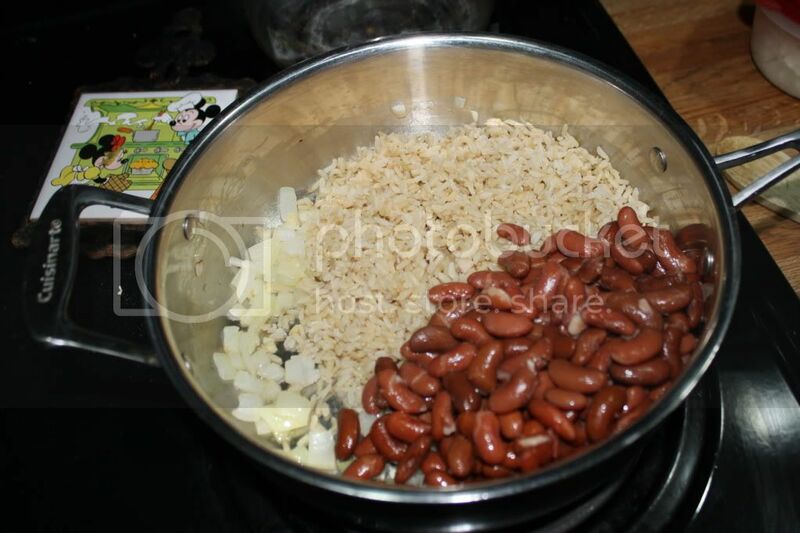 I had 2.5 cups of 16 bean soup mix, and .5 cups of Red Kidney Beans to finish it off. Then 6 cups of Turkey Stock, 1 cup of white wine, and 3 cups of water went into the mix, along with some thyme, sage, and oregano. Lots of Sea Salt, too! Now at this point, there was quite a bit of liquid dripping onto my stove, but silly me, I assumed it was just condensation. 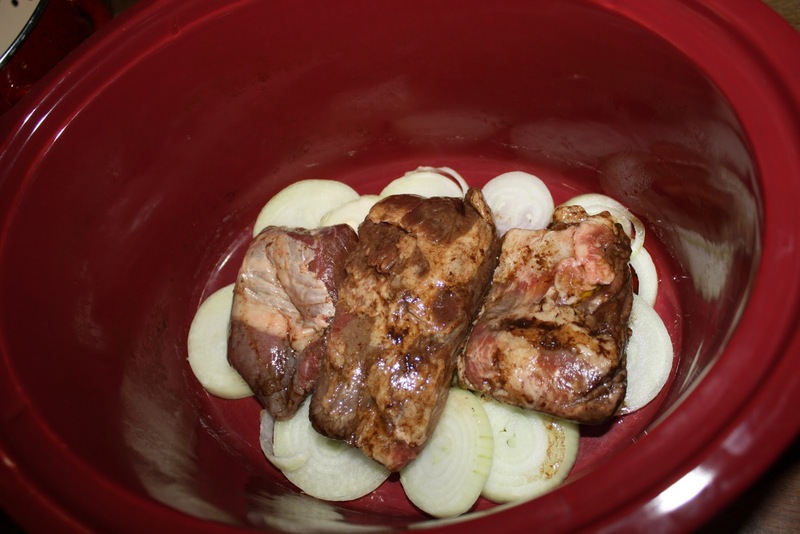 Into the crockpot it went. 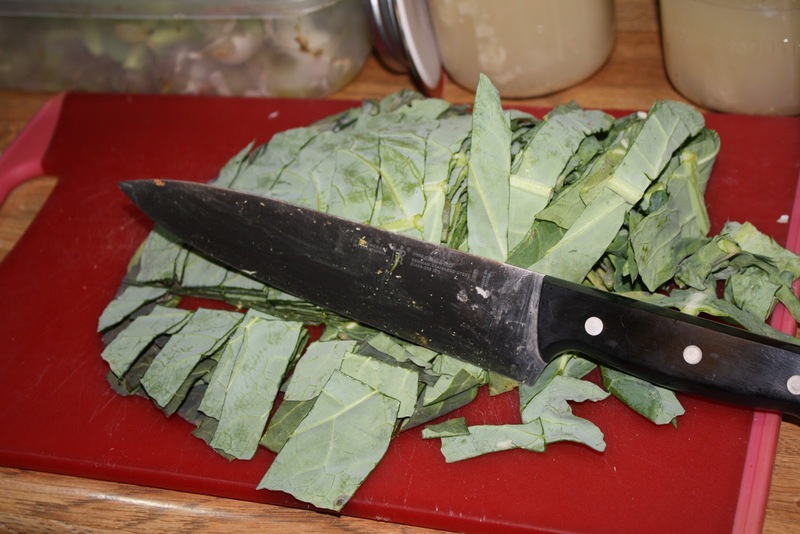 In the meantime, I chopped up the collards. I cooked it all day on low (without the collards) while I was at work. Before I left, I noticed that the actual Crockpot was leaking, so I stuck a washcloth under it and left anyway. It usually leaked a little, so I wasn’t worried. I came home to a white washcloth that was now brown and a HUGE puddle on the counter. Fail. The food, however, looked great! I sauteed some onions in lots of butter, and added some mushrooms to the mix as well. 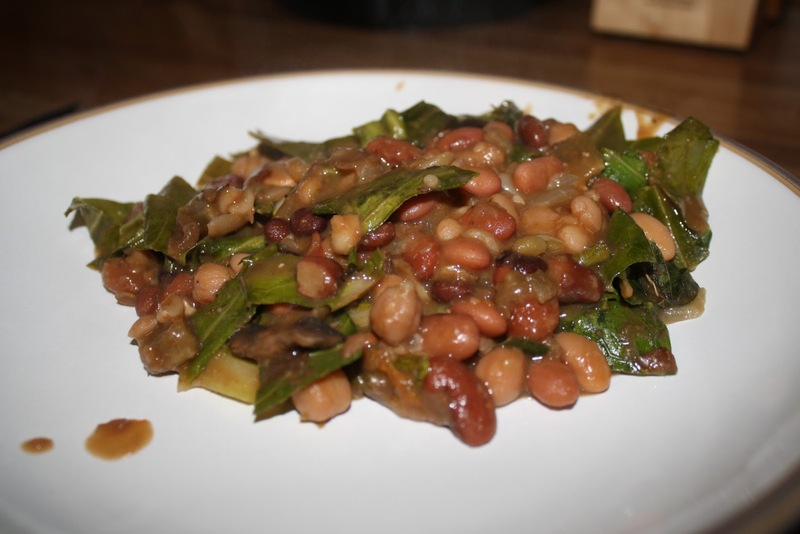 They went into the pot along with the collards and cooked on high for about 15 minutes. I added another splash of wine and lots more sea salt. It was so delicious! I would have been MUCH better had I made some crusty bread, or biscuits, or something, but like I said, I didn’t plan. The end of the crockpot story? The insert is cracked beyond repair. I’m not sure if it is because I put it on the stovetop. I mean, I read the manual (after the fact) and it is NOT stovetop safe, but it had been leaking for a while. I wonder if it already had a few small cracks and the stove just exacerbated the problem. In any case, I want a new one. Any suggestions? 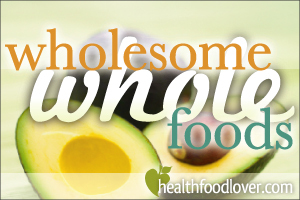 This post was featured on Wholesome Whole Foods at Health Food Lover and Simple Lives Thursday at GNOWFGLINS! 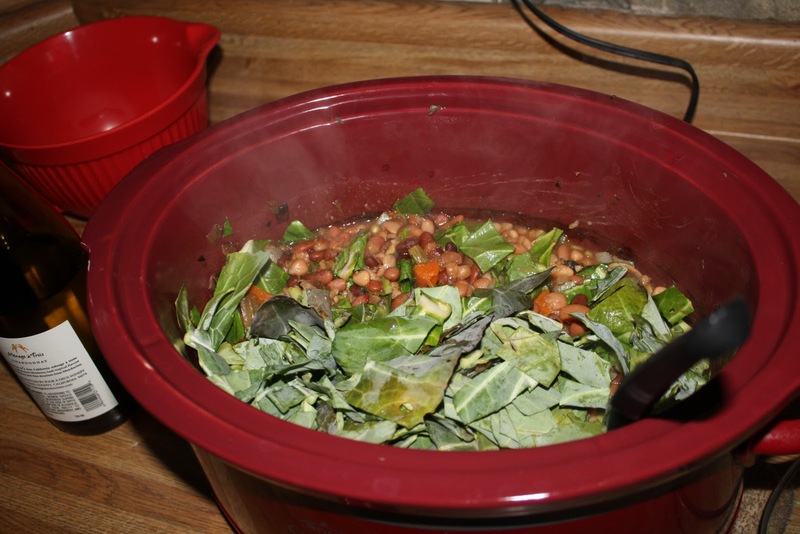 Categories: beans, crockpot, fail, greens, veggies | Permalink. Well, it’s not mashed WITH the meat. It is mashed, with meat on the side. 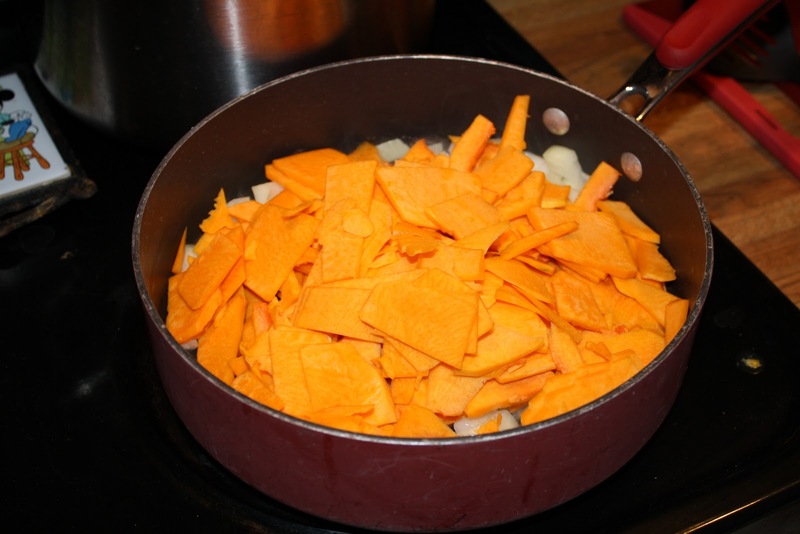 With all the leftover squash from the risotto, I had to do something with it. It had to be big, since there was a TON of squash. Mashing them seemed like the best bet. 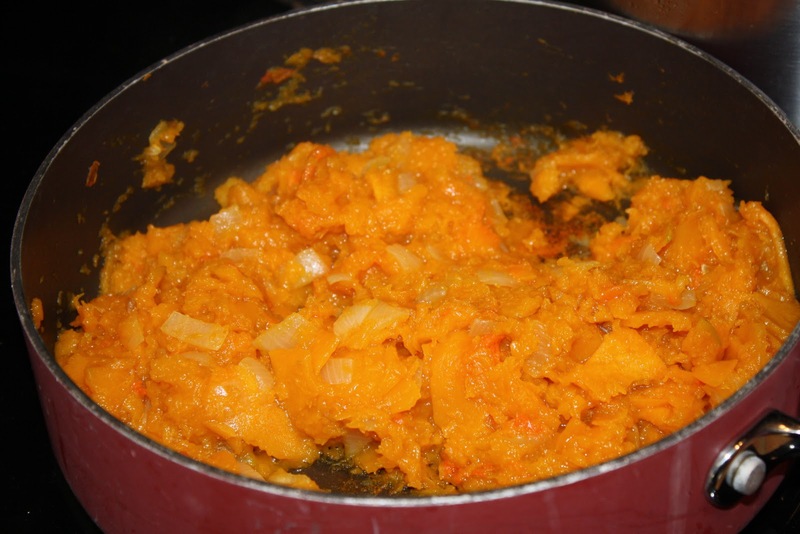 Allll that squash got simmered with lots of butter and onions. Chicken stock was added as necessary to get it really really soft. 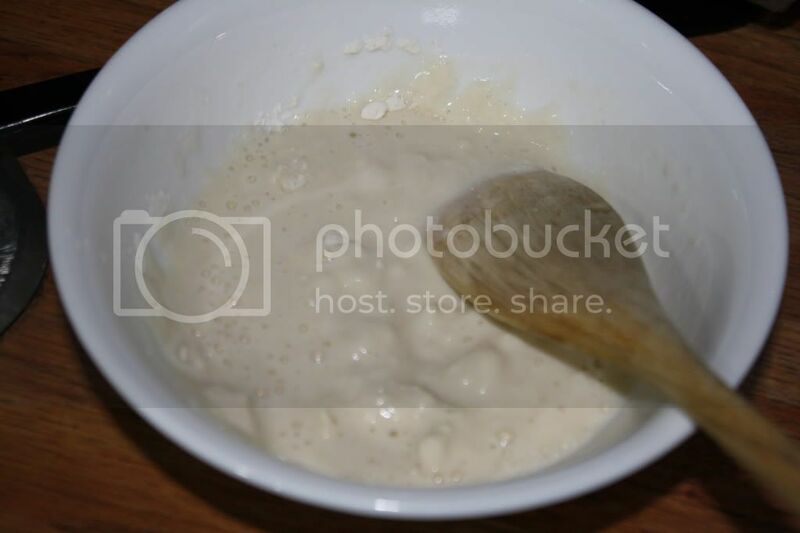 Eventually it just mashed itself down as I stirred it. 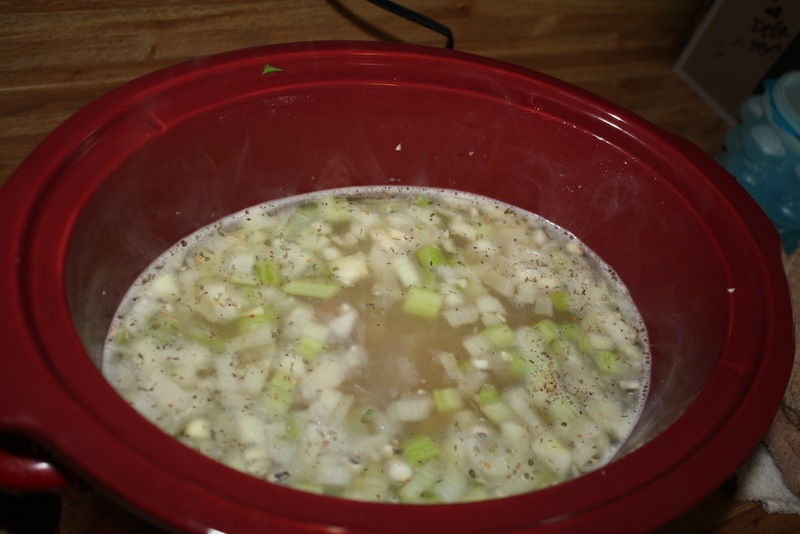 I added in cinnamon and caraway seeds along with the sea salt to give it some awesome flavor. 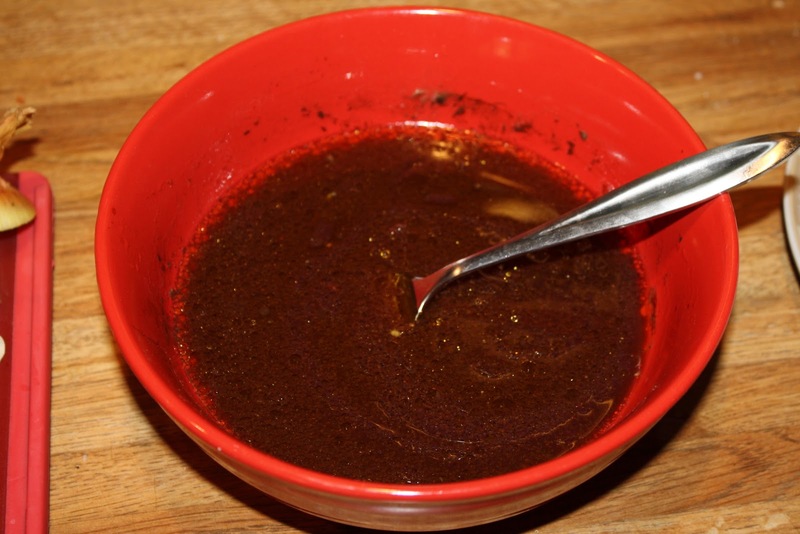 John loves that combo, because it is the main seasoning in his FAVORITE Lebanese dessert, meghli. 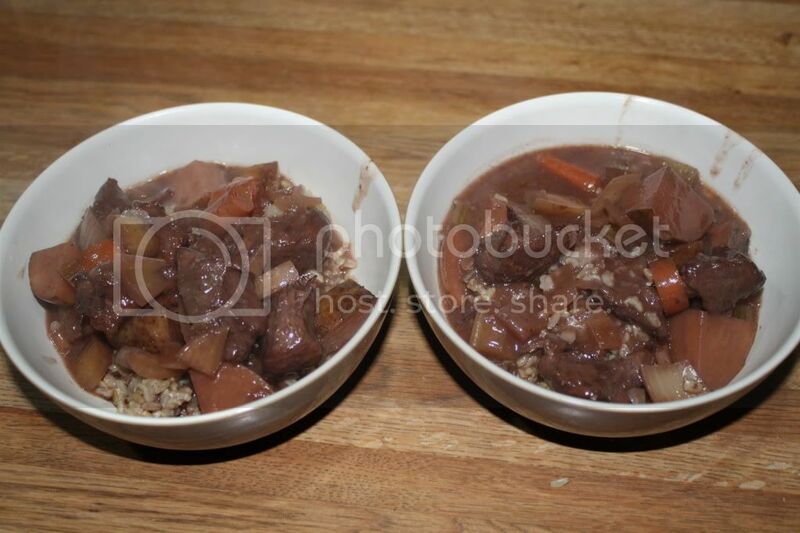 I made a quick crockpot dish with some grassfed beef I had frozen a while ago. 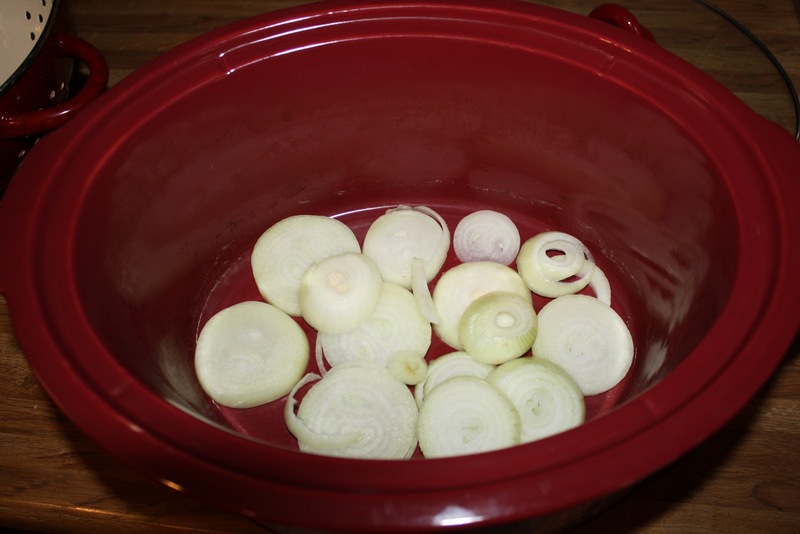 I layered some sliced onion in the bottom of the crockpot. 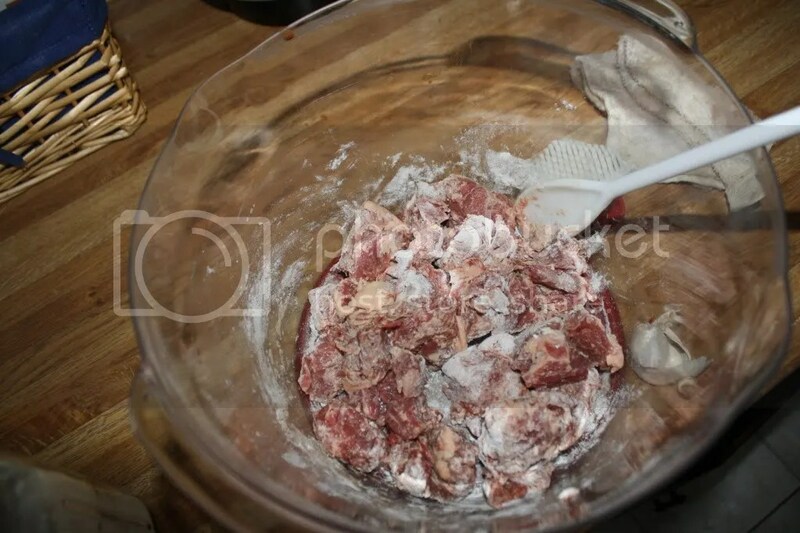 Then the defrosted meat was added. 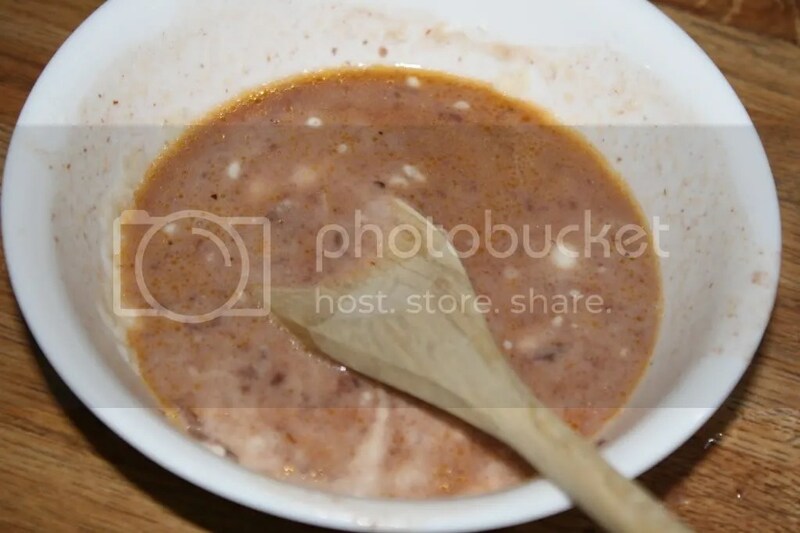 …and the sauce was poured on top. 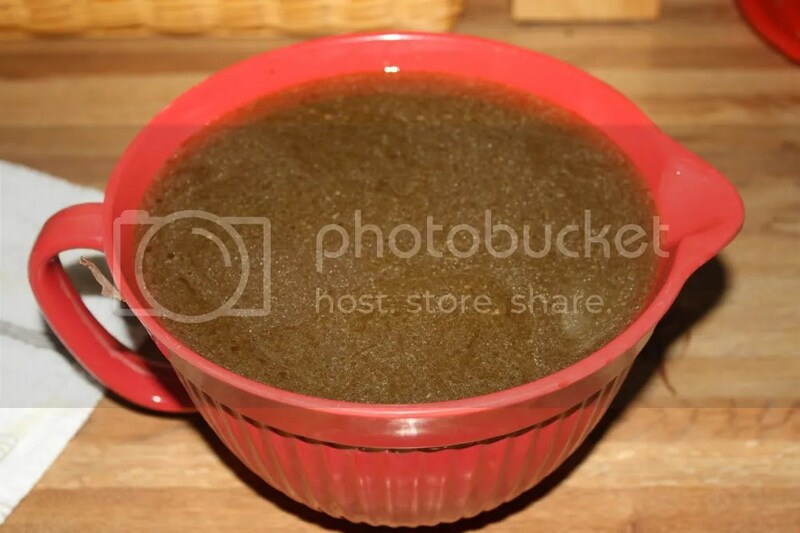 It was made of olive oil, soy sauce, apple cider vinegar, salt, and pepper. I couldn’t tell you the exact proportions because I didn’t measure them. 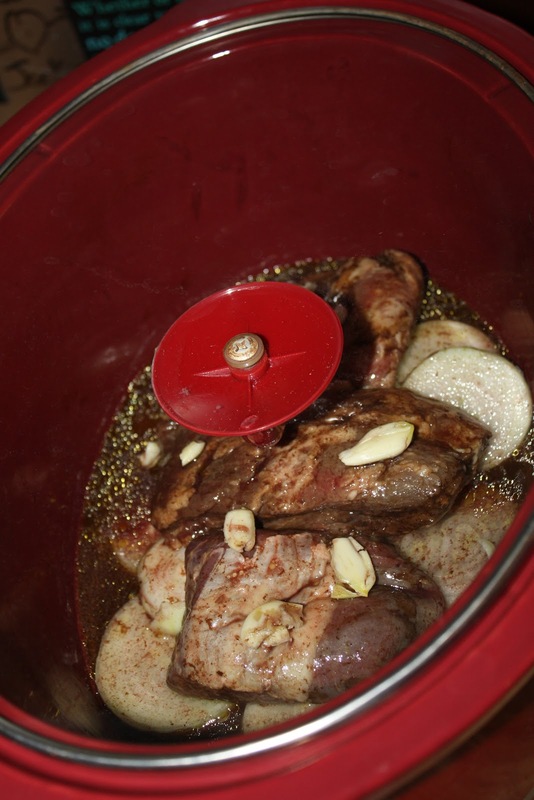 When it was all in there, I added a bunch of garlic cloves on top for good luck and cooked it on low all day long. The finished product was delicious and autumnal! 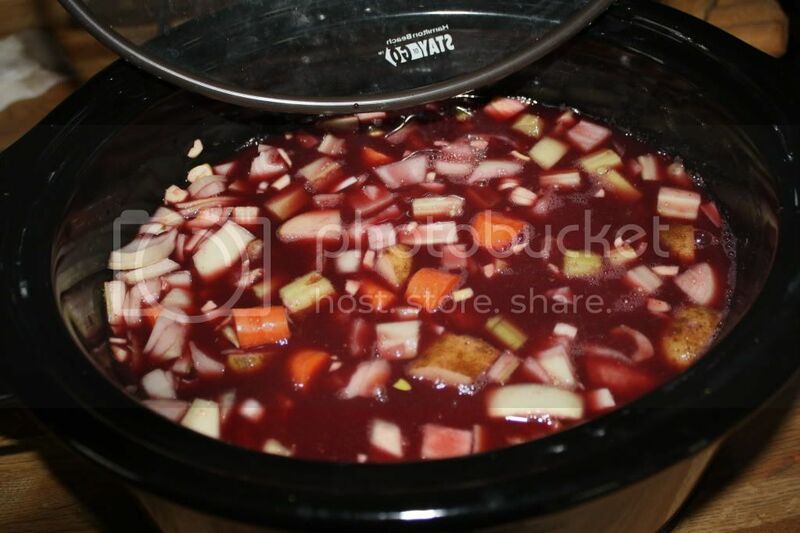 Categories: butternut squash, crockpot, meat, veggies, winter squash | Permalink.